Since I started blogging, I have been asked countless times how to get more followers. How do you get more followers? So, I thought I would write a little post with some useful tips I've picked up along the way - most of which may sound like common sense to many of you and possibly these are things you've been doing for a long while already... But for those of you who are just starting out in the blogosphere, I hope you find this useful and please shout with any questions. If I know the answer, I will help you out! 1. Followers are real people. Real people with real brains and personalities. So don't forget that your content needs to be engaging and fresh so that your real-people-followers will read it and then want to share it. So before you start to worry about how you are going to promote your blog, make sure your content is top notch.. nobody's perfect and everyone makes mistakes and that’s fine! 2. Be social: Facebook. Set up a Facebook Page ( https://www.facebook.com/pages/A-Touch-Of-Belle/208763425946658?fref=ts) for your blog and post your blog updates there. Don't forget to make it nice and easy for your readers to link to it and 'like' it directly from your blog too. Getting 'likes' is a great way to promote your blog as when someone likes your Facebook page it will usually show up in all of their Facebook friends' news feeds... and if it sparks their interest they'll nip over to your blog and maybe even become a loyal and regular reader! 3. Be social: Twitter. This is an incredible tool for reaching out and interacting with others. The trick with Twitter is being consistent, interacting, being personal and supporting other people you like – retweeting posts you agree with and enjoy. It will be appreciated Again, make a link to your Twitter accound so its easy to find on your blog! Also think about where in the world your followers are from, maybe think about tweeting 3 times per day (Morning, afternoon and night) so that people in different time zones see your tweets! 4. Comment on other blogs. And I don't mean "Would you like to follow each other, here is my Blog link" comments, I mean thoughtful and considered real comments. It will be appreciated. I always visit the blog of a reader who's left me a lovely comment... the blogging world is a great community, so jump right in and get involved! 6. Write a guest post. First you need to think about the kind of people that would want to read your blog and then hunt high and low for other blogs who attract a similar kind of readers. Once you've found some, contact their owners and offer to write a guest post, or even better, feature on their blogs. Try to find blogs with a higher readership than yours and you should find you're able to tempt some of their readers over to your own blog with your excellent writing skills. 7. Analyse. Let's talk about Google analytics. You will be able to see who is looking at your blog, what country they're from, how long they stayed on your blog, what they searched for in order to arrive at your blog and which posts are your most popular. Google Analytics will become your best friend and you will love it forever and ever. When it comes to tools which help you learn about your readership and grow your blog to be the best blog it can be. 8. Take great photographs. "A picture tells a thousand words..." It's TRUE. If your picture is a bit weak and 'meh,' you risk losing your reader before they've even read one word. Don't forget that it's your picture which will accompany your post's link wherever you place it, so try to make sure your photos are strong, dynamic and that you love every pic you post. Don't worry, you don't need a fancy camera - there are plenty of very cheap and clever photo apps around to make even the simplest of mobile phone snaps look good! Thank you! If you have any requests for these type of posts let me know! Thanks for very informative post! Definitely agree that social media is key - most of my views come directly from Twitter! No Worries lovely hope it was useful! Social media is a great way to gain readership! 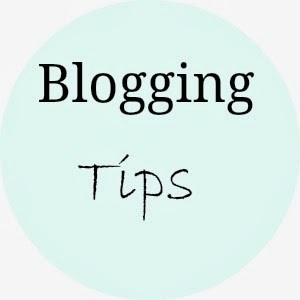 If you have any requests for blogging tips let me know, I would love to hear from you! That's ok! Glad the post was useful! Thank you glad it was useful! Let me know how you get on! If you have any requests for what you would like to see from this series let me know! This post is really helpful and I'll definitely be taking some of your tips on board! Thank you! P.S I would like to nominate you for The Versatile Blogger Award.